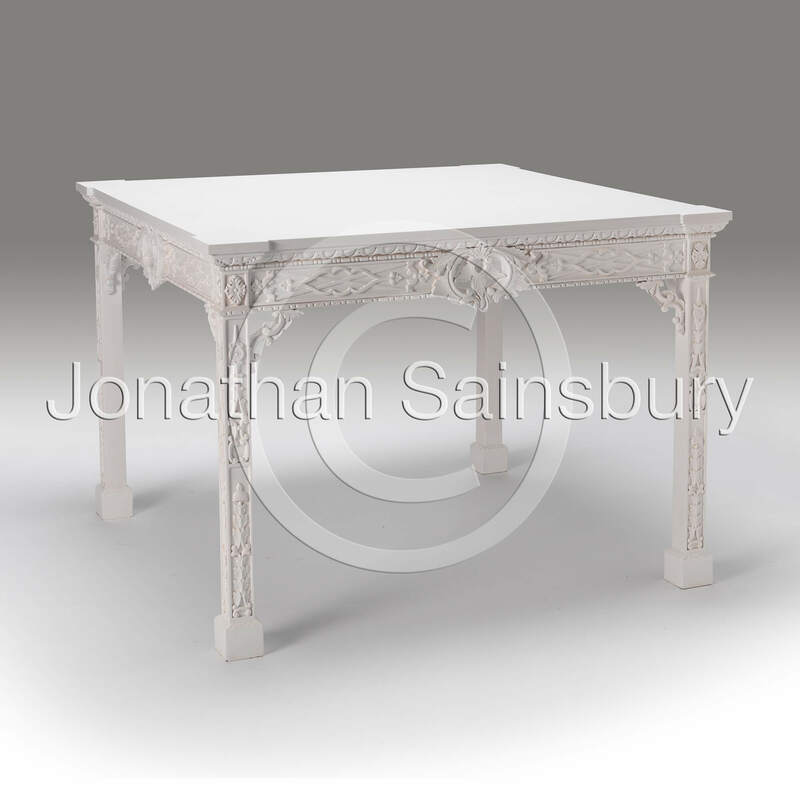 An aged Gesso finish carved blind fret pierced table from a design by Thomas Chippendale. The table as shown with gesso painted wooden top. If required we can also supply this table with a marble top of your choice.